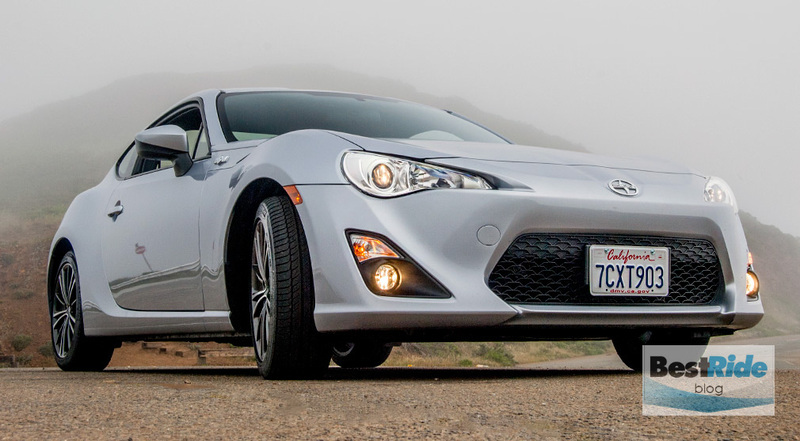 It’s coming up on three years for the Scion FR-S in the US market, and we find more to like every time we drive it. The FR-S is one of three nameplates on this platform. 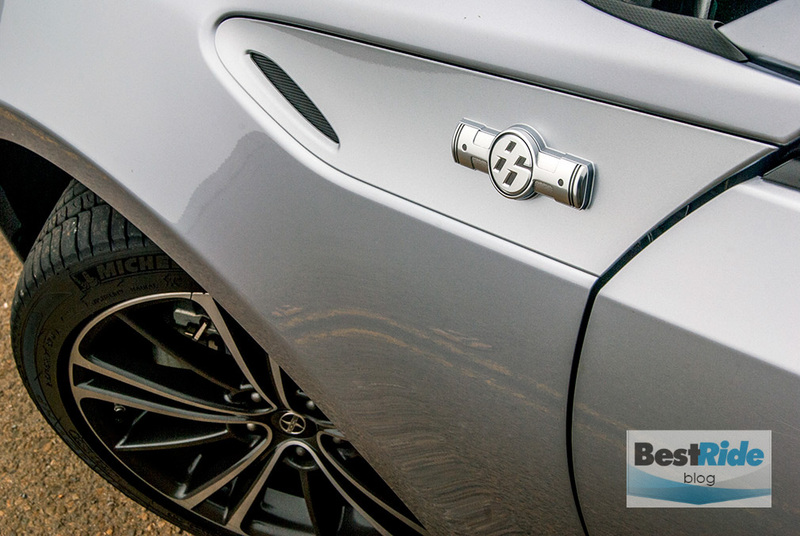 As it was developed jointly with Subaru, there’s the Subaru BRZ. 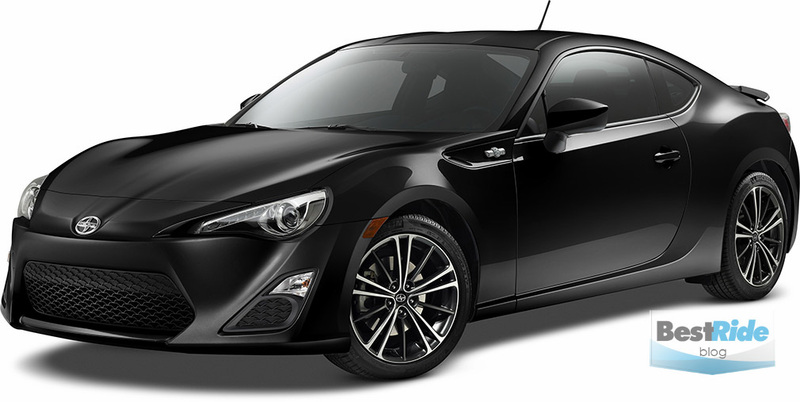 And in other markets, Toyota sells it as the GT86. Differences between them are minimal. 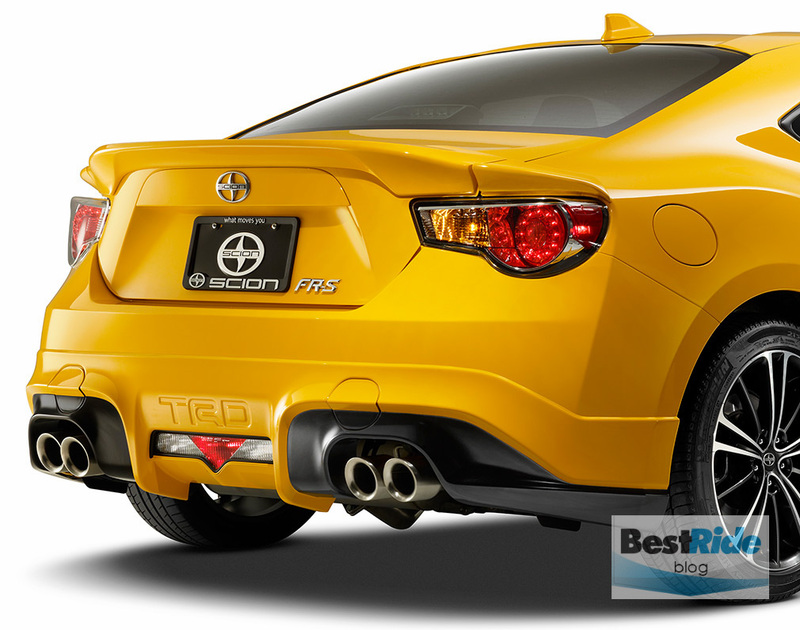 Scion sells another sporty number, the tC, but the two couldn’t be more different. 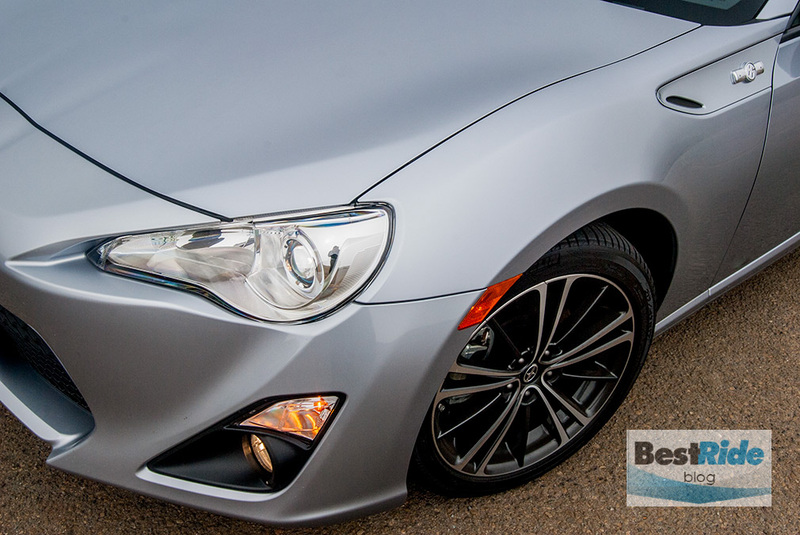 The tC is based on a front-wheel driver family sedan, and it has an accompanying mild personality. The FR-S, on the other hand, is a purpose-built, rear-wheel drive sports coupe. It is fun in a bottle. 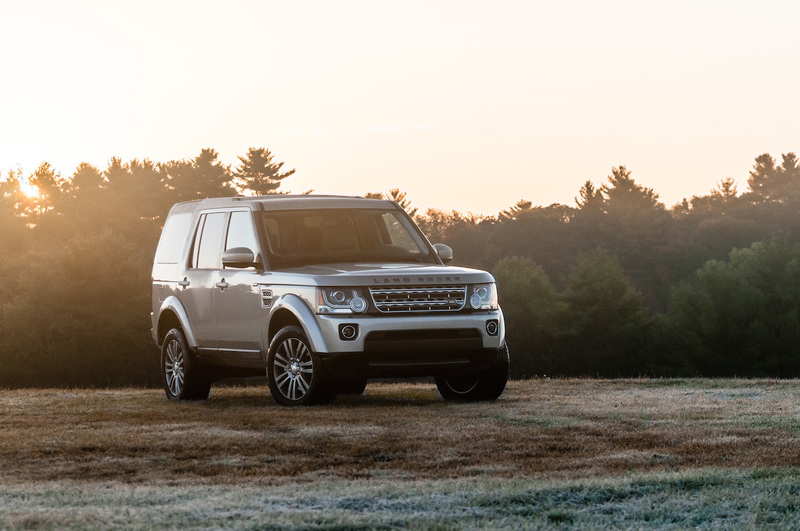 …and HID headlights, push-button start, BeSpoke premium audio and navigation, and more. 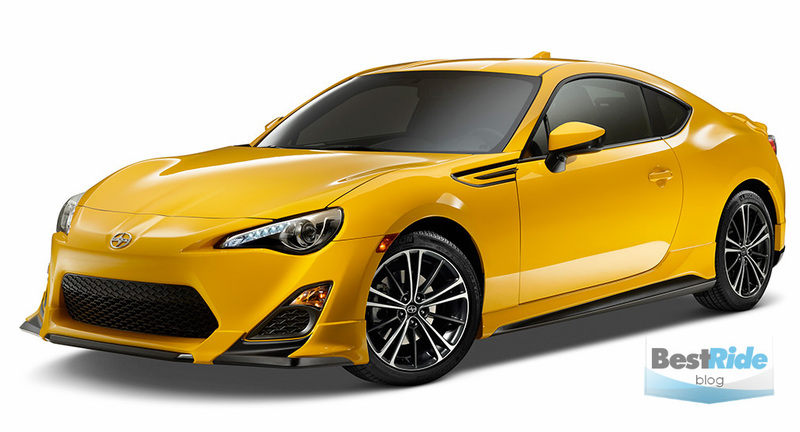 Add $5,090 to the base FR-S, and you’d get the Release Series 1.0, all of which come in this “Yuzu” yellow color. 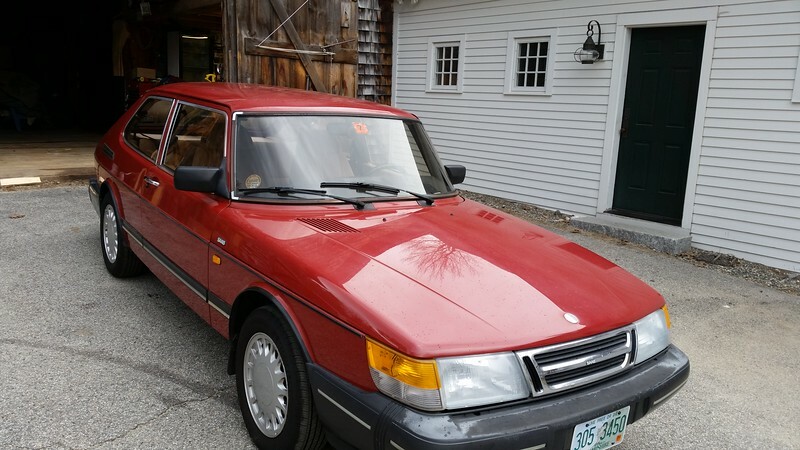 …and $399 for fog lights. 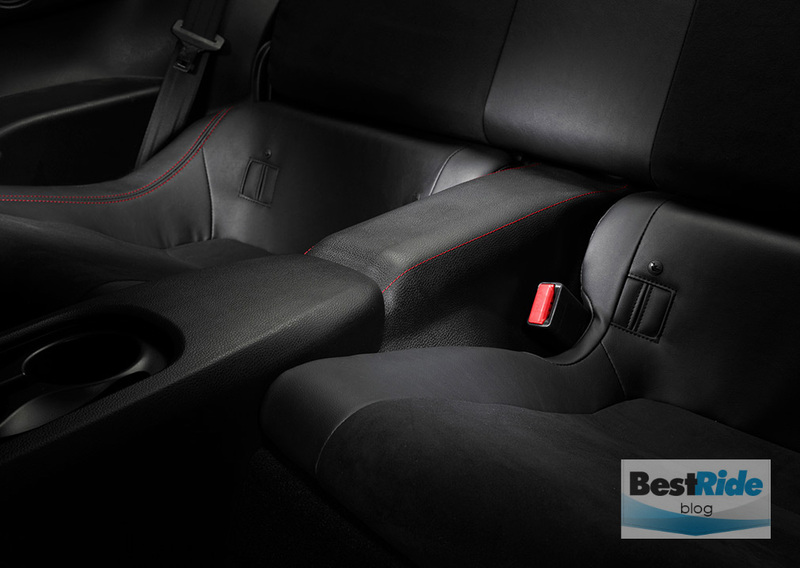 Other options included the $1,199 BeSpoke audio/navigation setup with connectivity to the aha streaming-radio app, and $75 for the carpeted trunk mat. With the $770 destination charge, the total came to $27,838. We probably would have opted for the $295 front center armrest. 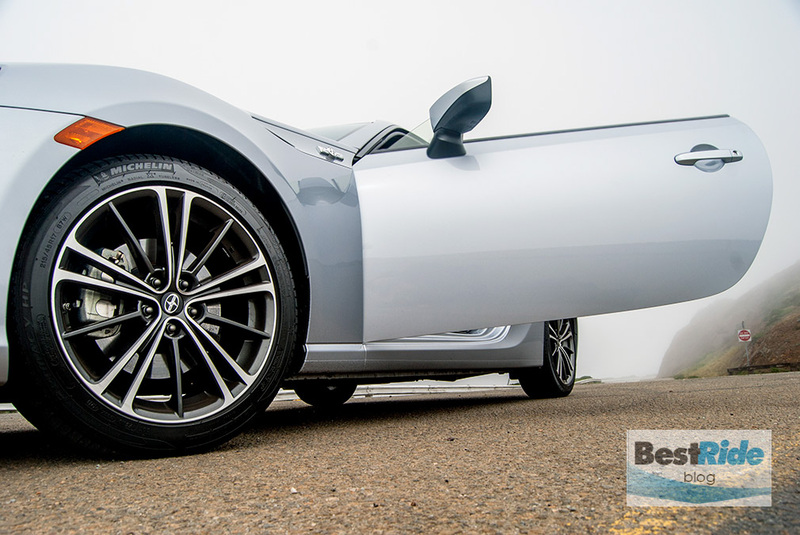 Wider 18-inch wheels are available at $1,036 for the rims alone, but with the FR-S’s extremely common 5×100 wheel bolt pattern, your choices in the aftermarket are many. One of the joys of this platform is its low-cut proportions. You sit close to the ground with a clear view over the lumpy hood ahead, which lends an added feeling of control. 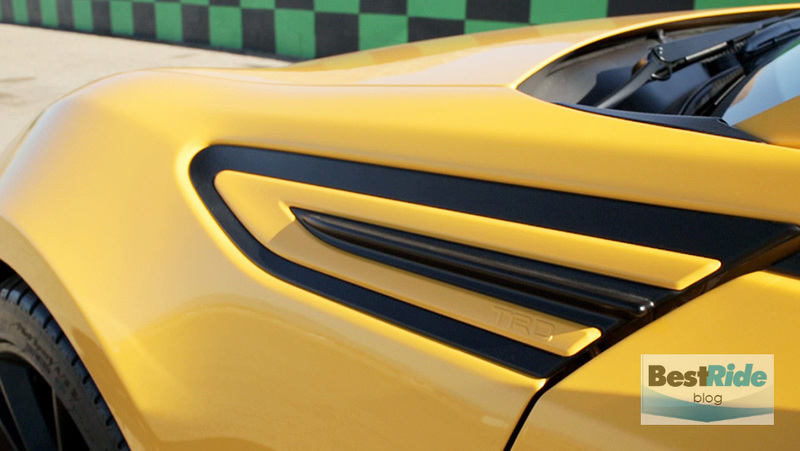 The frameless doors add to the FR-S’s elemental feeling. The way you interact with this car’s physicality indicates that you’re holstering up a true sports car, a sense which is lost on many modern cars and their built-up structures. 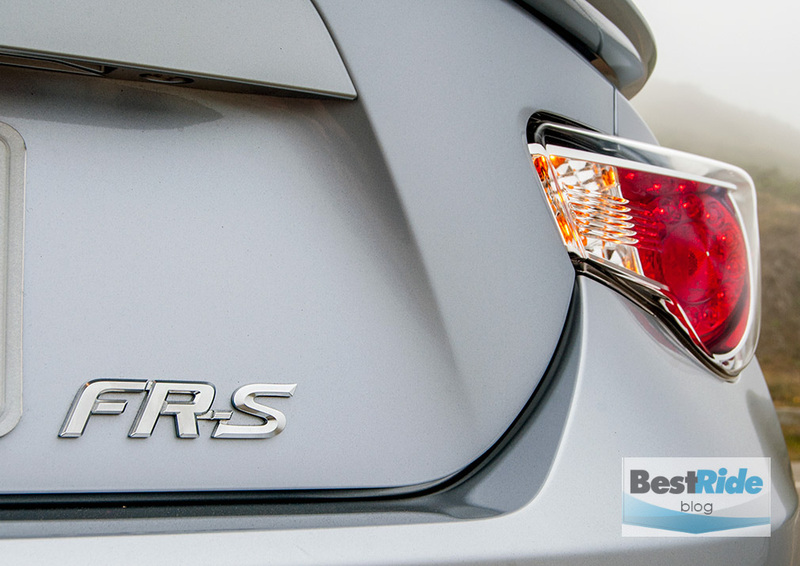 The FR-S’s fender badge indicates what’s under the hood, with a stylized illustration of the engine’s horizontally-opposed cylinders. It’s a Subaru engine that cranks out 200 horsepower up at a rorty 7,000 rpm. 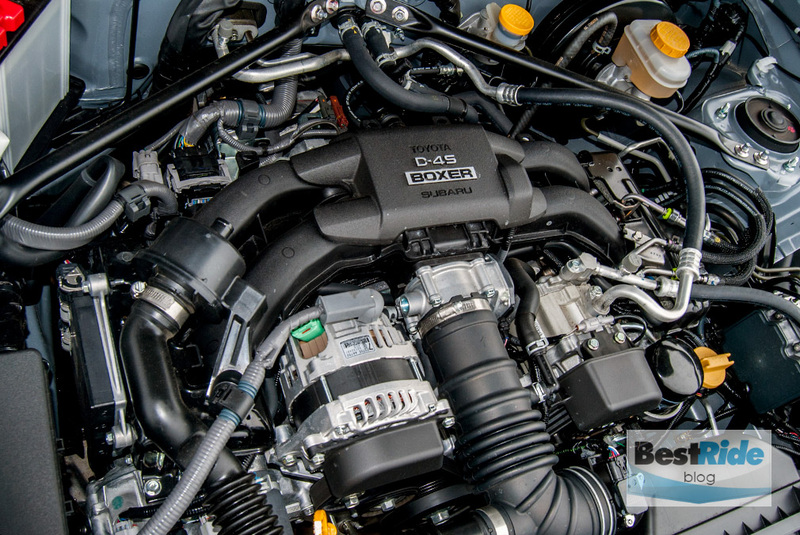 This engine likes to rev, and its constant encouragement is one of the FR-S’s most endearing aspects. 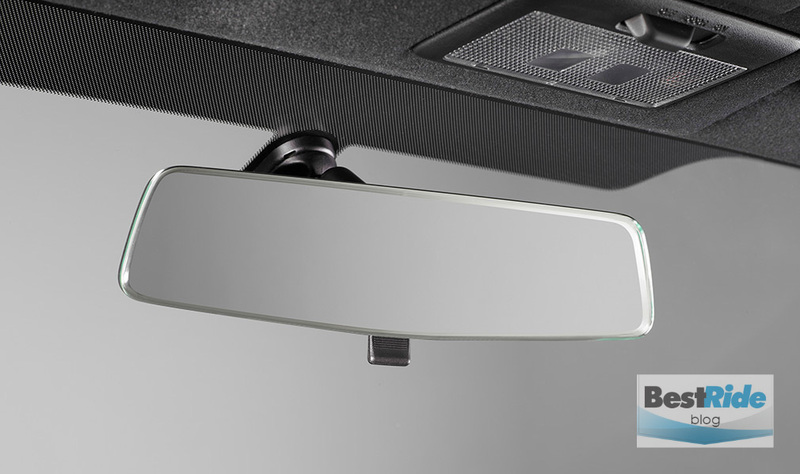 The D-4S label refers to the unique fuel delivery system, with both port and direct injectors working alone or in concert to fine-tune the management of power and emissions. 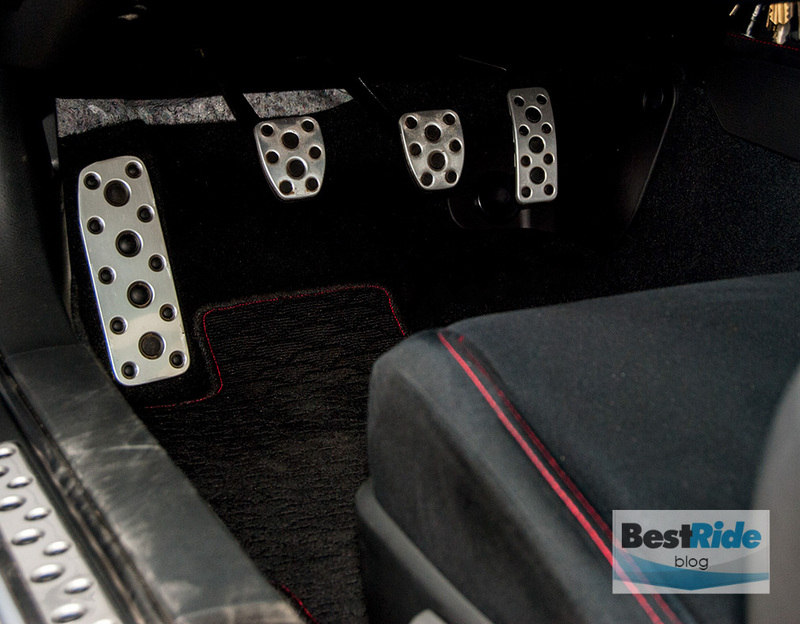 Transmission on the test car was the six-speed manual. 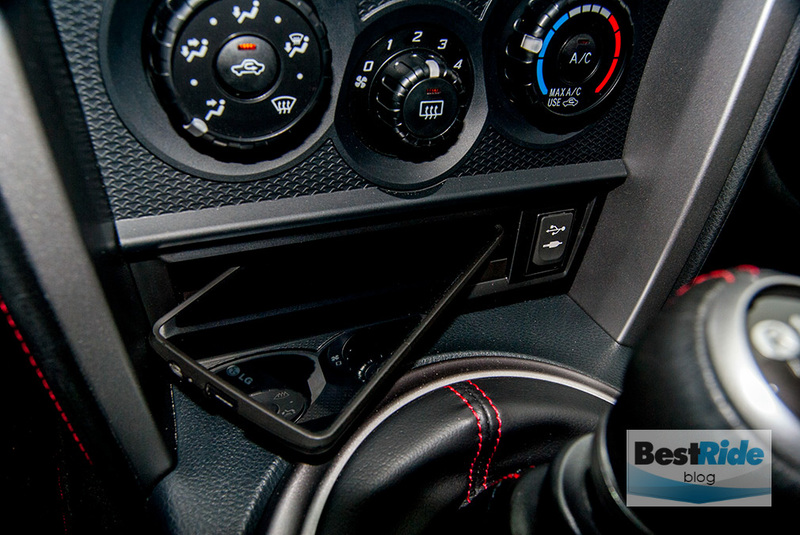 Throws were long enough for me to likely search for an aftermarket short-shift kit if I were to buy this FR-S, but the shifter moved through its gates without incident. 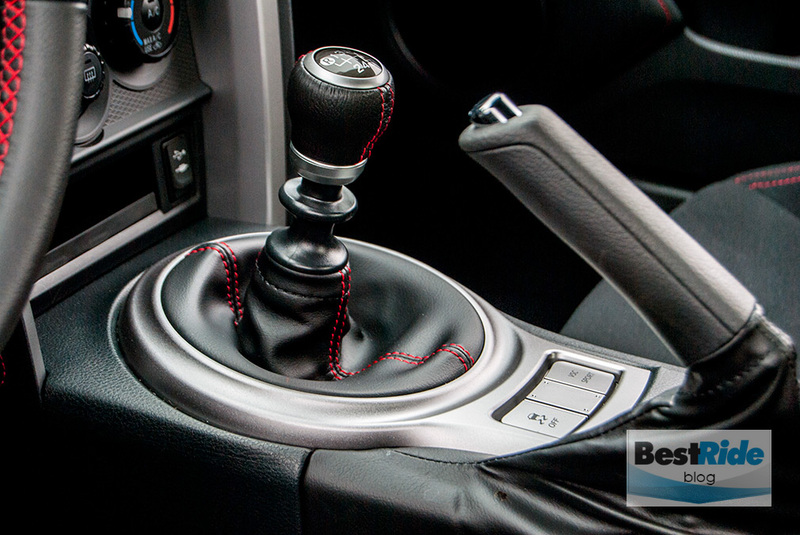 A six-speed automatic with paddle shifters and rev-matching downshifts is an $1,100 option. Handling was delightful. 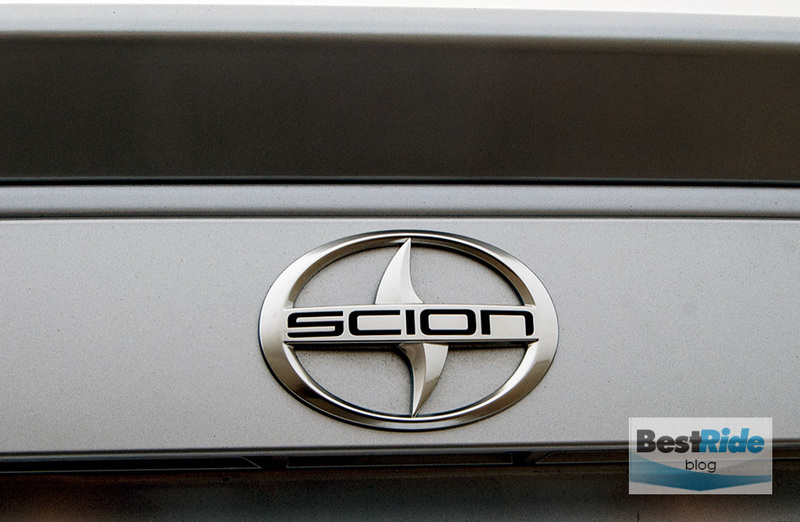 Scion says that the 2015 model brings a more “rigid” front suspension and retuned shocks in back. 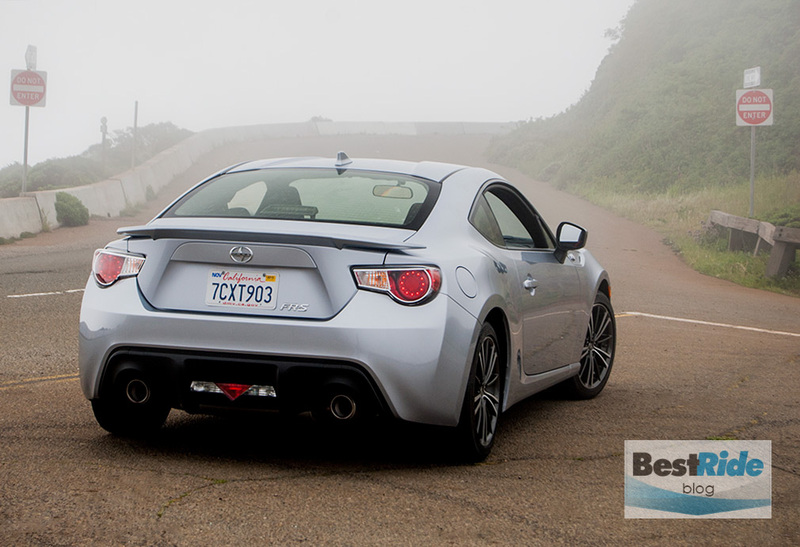 It seemed like you’d have to hit some seriously extra-legal speeds to sense the difference, and otherwise, the FR-S was all there in its usual cheerful confidence. 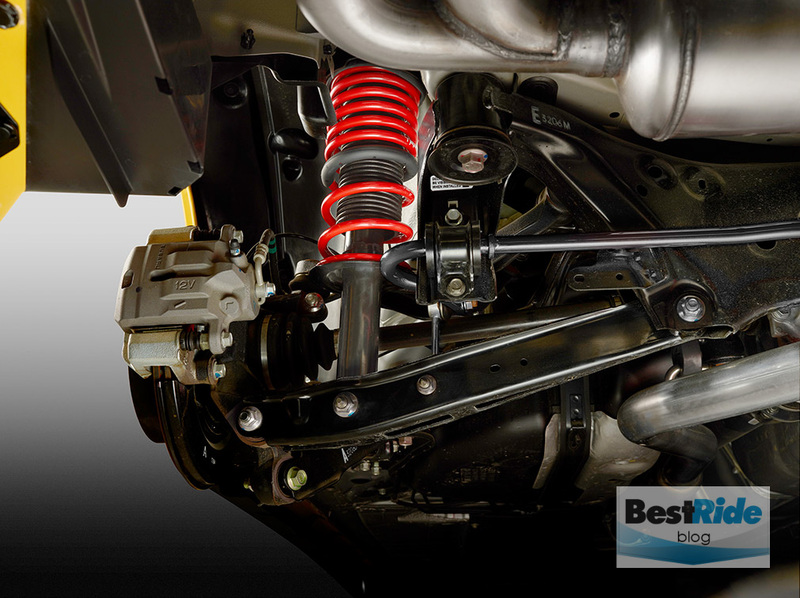 I’d ask for stiffer steering response and a little more road feel, but these are nits in a car that’s always ready to dance. 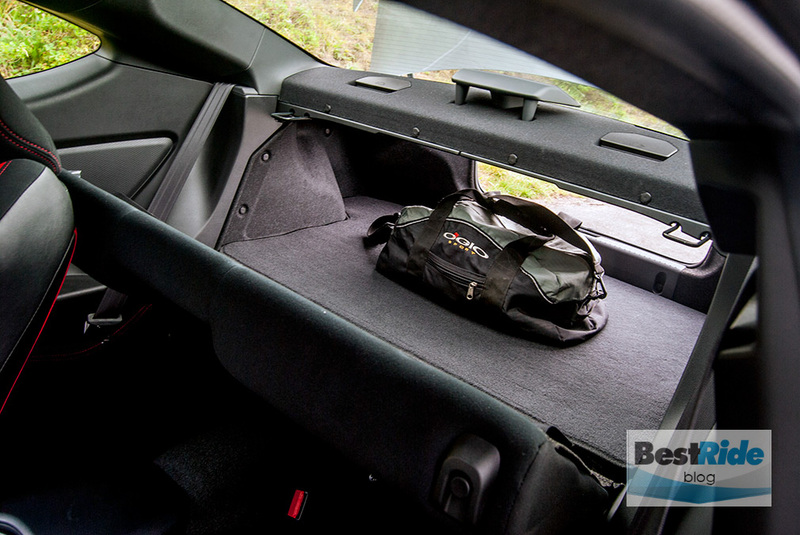 Inside, the FR-S feels close-coupled. 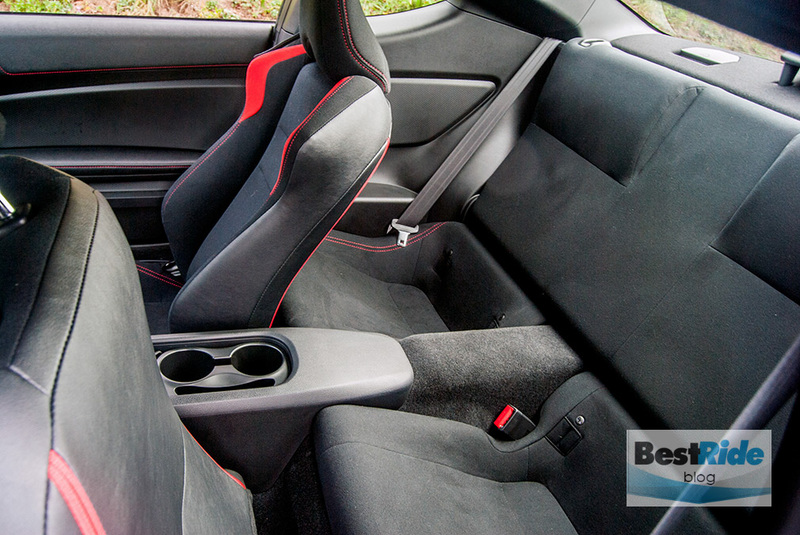 Front seats are supportive, particularly around your shoulders, and the fabric is grippy. …but the seatback folds flat to extend the trunk. 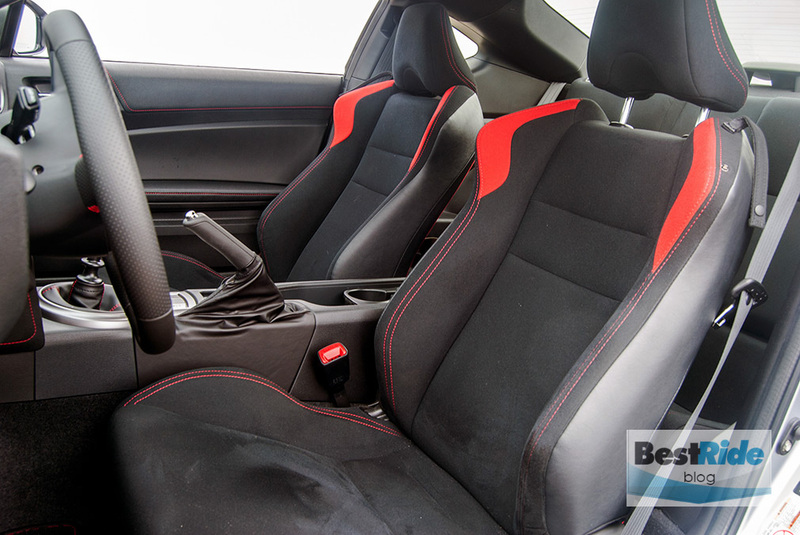 Sporty touches like red stitching and metal pedals reinforce the FR-S’s mission. Interior materials look to be on the inexpensive side, but at least it’s all cohesive. The optional screen appears to be last-gen in resolution. 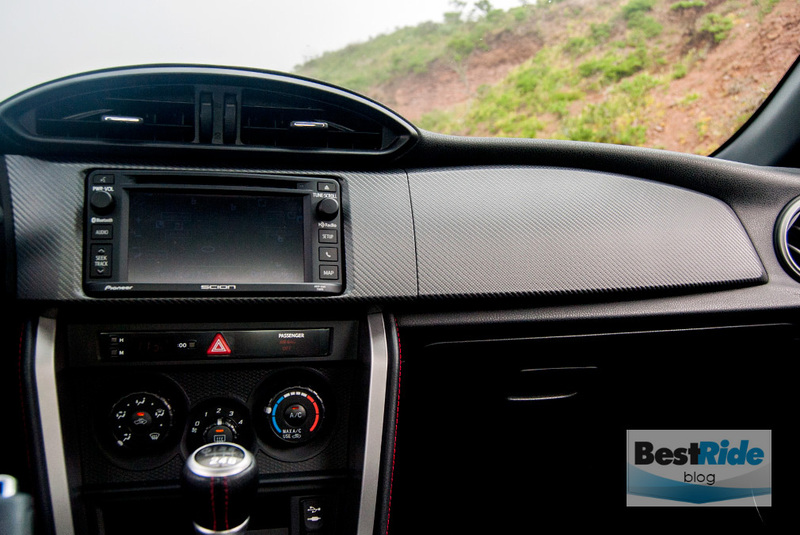 These aspects also hint to the minimalism of the FR-S, as it maximizes driving fun. 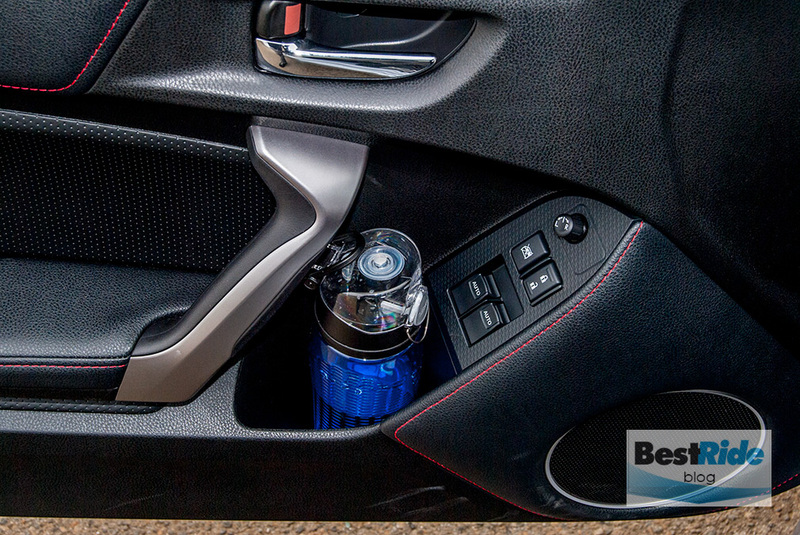 …and so mine ended up in the center console, sharing space with the cupholder. Nice that the FR-S includes AUX and USB connections as standard. 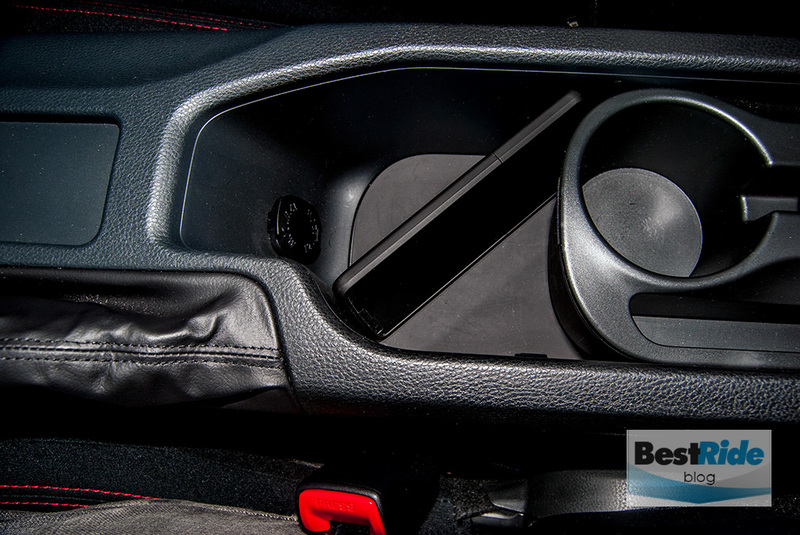 Door panels are scooped out for your medium-sized bottles, and the padding lands next to your knee for bracing while cornering. 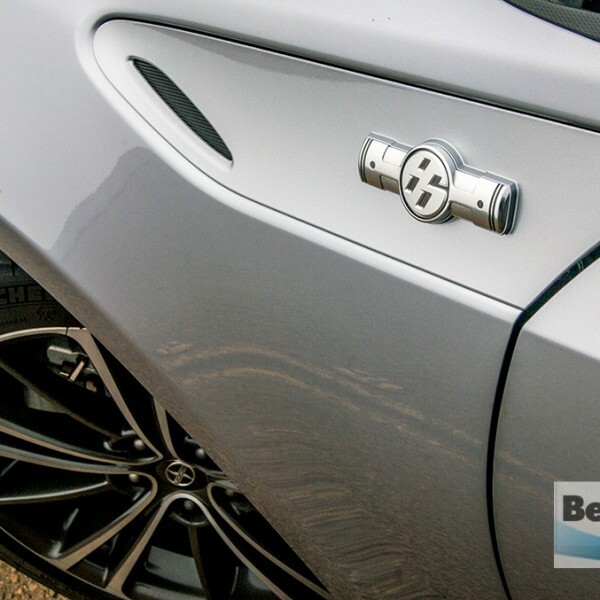 Of course, this Scion’s competition is fierce; the redone Mazda MX-5 will surely be a lure for those considering the FR-S, and there will always be pre-owned BMW 3-series coupes offering their own sets of pleasures. But overall, the FR-S continues to be a car whose keys will burn a hole in your pocket, and we could want it for that reason alone. 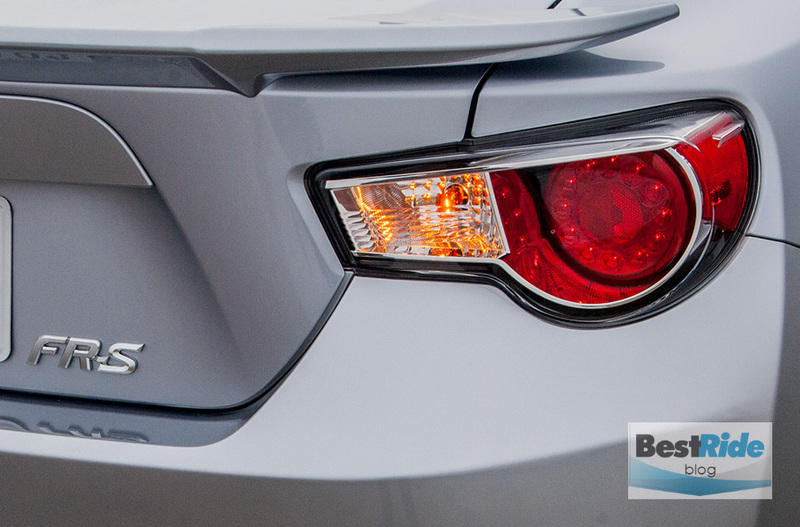 Tell us in the comments – what do YOU think of the FR-S? Ruth’s reviews are wonderful. Relevant, accessible information that truly captures my concerns when deciding on my next car. Keep them coming!